Taiko can be a fun hobby, a time to bang on the drums and make a loud noise. It can also be a profoundly life altering experience, awakening you to new strengths within yourself and new ways to connect with people and discover how each player affects the energy of the group and audience. We offer these basic taiko principles to help you get the most from your drumming experience. Cultivate the desire and discipline to continuously improve technique and musical ability. Taiko is at its most beautiful when players are in unison, playing with musicality and proper technique. Strive for accuracy of rhythm. Know that this accuracy is most satisfying when players are in proper stance, using proper form, and free from ego. Strive at all times for correct kata, or form; conditioning and centering so that grace, power, group awareness and expression are maximized. Stance, sticking technique, breath, feeling your body, the bachi and the taiko work together as an instrument… these are all elements of proper kata. Play with ki, rather than muscle. 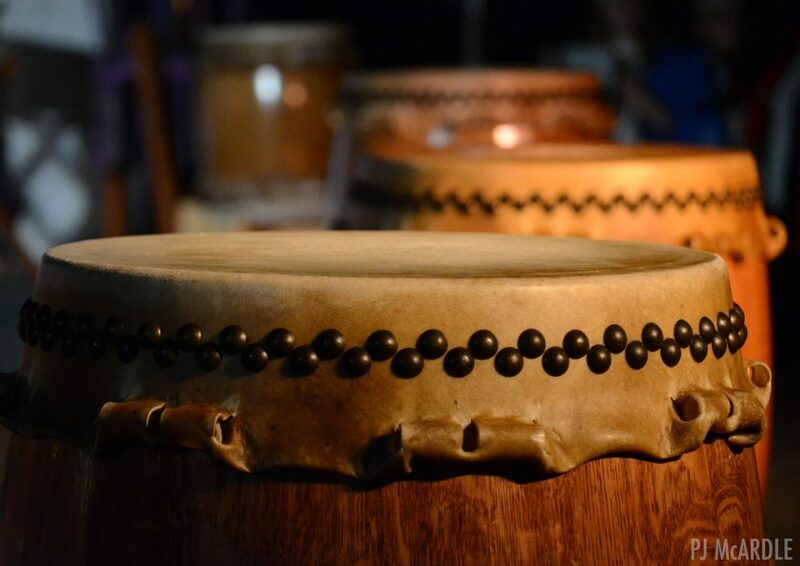 Learn the history and culture of taiko. Respect the dojo as the place of a path. Respect your sensei, senpai, and kohai, and strive to embody the concept of shoshin (beginner’s mind). Set your will to embrace the spirit of the art form and your dojo. To be a taiko player, you must know the history and culture of the art form and how songs came to you. By knowing the traditions of the art form, you discover its greatest potential impact on your life path. Holding respect and openness will lead you to a deeper connection with the art form and your fellow players, and will make you a better player and performer. Bring lots of good ki into the dojo. Make your attitude one of patience, humility, willingness, and generosity. Taiko involves the celebration and expression of a heartfelt love of the art, the excitement of playing the drum, and sharing that enthusiasm with the audience. Whatever you are feeling most strongly in your spirit will be conveyed when you play, so strive to make it respect and passion. By following these principles, you will find taiko an ideal way to express new strength and skill, celebrate human connection, continue your personal growth, and have fun!